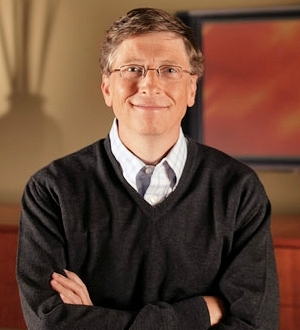 Microsoft chairman Bill Gates is not suffering from buyer's remorse. In fact, he encouraged his company to acquire Skype. That may come as a shock to those who believed it was Ballmer who orchestrated the whole purchase, but it turns out that Gates was backing the talks as well. "I was a strong proponent at the board level for the deal being done," Gates told the BBC. "I think it's a great, great deal for Skype. I think it's a great deal for Microsoft. The idea of video conferencing is going to get so much better than it is today. Skype actually does get a fair bit of revenue. It'll be fascinating to see how the brilliant ideas out of Microsoft research, coming together with Skype, what they can make of that." Following rumors that Google, Facebook, and Microsoft were all interested in the Luxembourg-based company, the software giant swooped in. Last week, Microsoft announced that it was acquiring Skype for $8.5 billion in cash. The deal was approved by the boards of directors of both companies, and is Microsoft's largest ever acquisition. Skype had 170 million connected users and over 207 billion minutes of voice and video conversations in 2010. Still, compared to Microsoft's various real-time communication services, including Lync, Outlook, Messenger, Hotmail, and Xbox Live, Skype is significantly smaller. That being said, moving forward Skype will support Microsoft devices like the Xbox and Kinect, Windows Phone, and a wide array of Windows devices. Microsoft will also connect Skype users with Lync, Outlook, Xbox Live, and other communities. For those worried that Skype would no longer be available on non-Microsoft platforms, you can put your fears to rest. Microsoft confirmed that it will not only continue to support these Skype clients, but will invest in them as well.